The interculturality is a type of relation that is intentionally established between cultures and defends the dialogue and the meeting between them, based on the mutual acknowledgment of their corresponding values and ways of living. And is not this what we do when we travel to other countries and we connect with their languages, traditions, habits and forms of interpreting the world? 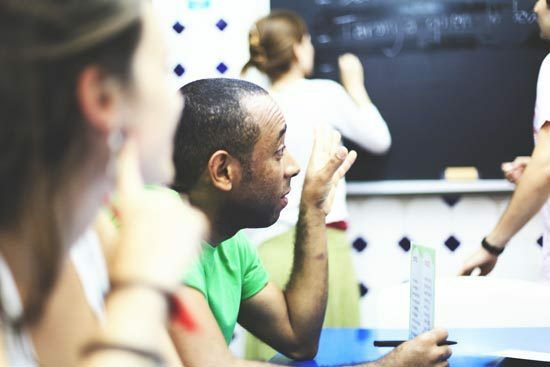 The language schools, and particularly the Spanish schools like the ones of our association, Español en España, Region of Valencia, play a very important role in this sense. Why? Because to a certain extent our speciality is to suggest this linguistic and cultural immersion, this life experience that builds bridges and helps to understand each other better. Only an experience like the one which could be lived in Spanish schools like Taronja, can provide with that interaction necessary to really learn to express and communicate who we are, what we desire, what we think, what we feel, in a very rich language, so multicultural and beautiful like Spanish is. In addition, we should not lose sight that learning to communicate in another language helps us to analyse our own language, and that relating with natives of this language makes that we analyse how we relate with our culture. It is a process that personally enriches us, and that not only contributes to a better knowledge of ourselves but also expands our view and converts us into intercultural speakers, capable to mediate between two different worlds at the same time. This means that in our classes the students think in Spanish about their own countries and their models of life, so that everyone can learn from everyone (we must keep in mind that it is easier to speak about what you know, about your language, traditions and habits, than of what you are yet unaware of), through a pluricultural perspective. Thus, it is a great luck and a great opportunity to study or work in a centre where students of different nationalities converge, from any part of the planet, with different ages, interests and dreams, who are united by the passion or the interest for Spanish. To communicate it is not just to speak. It is to understand what others tell us, understand their code and their way of expressing themselves, and to do so, we cannot just analyse the differences but also the concepts that connect us, and all what we share. The flow of migration, of visitors, of travellers that are in transit, make indispensable that we learn to understand each other better in a Europe that is already shaped by an incredible cultural diversity and that now is the desired destination for many. Let us take this opportunity to give the best of us and to share with our students our way of being and our view of the world, their way of viewing and understanding our world.